Hey, I'm Robyn from Play Move Improve. I am an Exercise Physiologist, Developmental Educator and Trainer who is passionate about getting more children active and moving each day. Discover strategies to improve children's spatial awareness, balance, gross motor skills, fine motor skills, and much more. Share your review during the month of March to receive my classroom brain breaks 2019 calendar for free. In this episode I encourage early learning educators, kindergarten teachers, and elementary teachers to value their creative skills and strengths that they bring to a child's day. Sometimes we get so overwhelmed by the paperwork pressures of our jobs that we forget to value the magic of teaching. So I encourage educators to be proud of their strengths and to value yourself as you inspire children in your classroom each day. 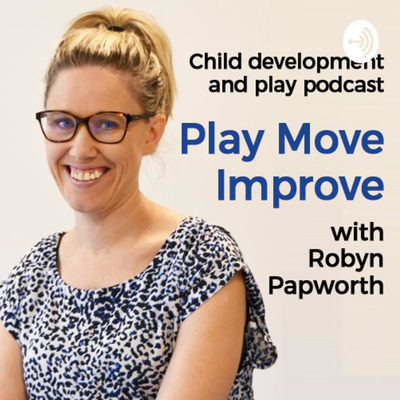 Child Development - Why do children need to move more and what is proprioception? Child Development - What is spatial awareness and why is it important for early learning?